Amazon’s Kindle allows you to highlight passages in books and take notes. Do you want to export and organize these highlights and notes, so that you can archive, review, search, and share them? Then this post is for you. 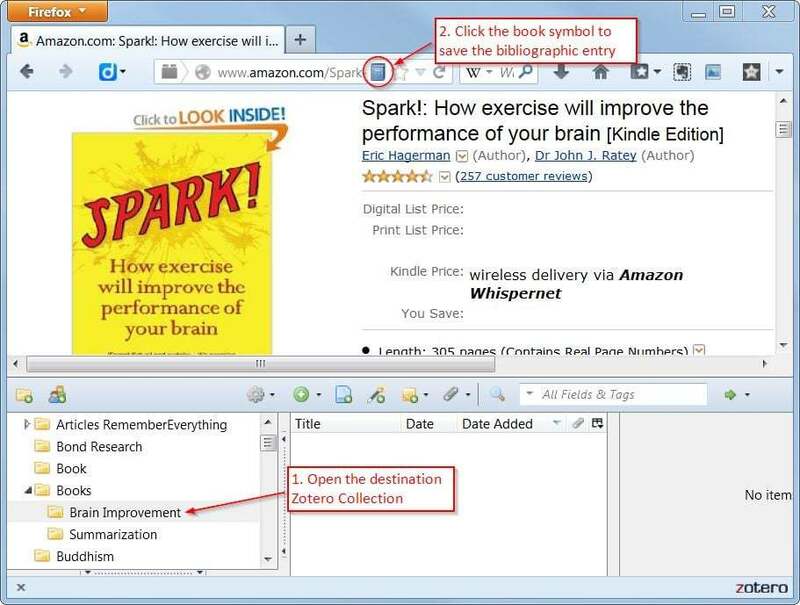 Let me put forward some suggestions on how you can save and manage a Kindle book’s annotations together with its bibliographic information in your Zotero library. 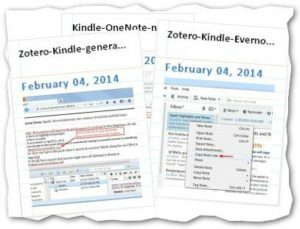 We are also going to look at saving Kindle annotations in Evernote and OneNote and linking these notes to a Zotero library. The exported annotations will allow us to jump directly to the corresponding locations in the book. For more info on Zotero, please check this post. In the following, I use Spark! : How exercise will improve the performance of your brain, by John J. Ratey and Eric Hagerman to illustrate the procedure. Find the book’s sales page on Amazon. This will save the book’s bibliographic entry as an item in your Zotero library.